After weeks of debate in political circles TNA leader Rajavarothayam Sampanthan has been appointed the opposition leader of the Sri Lankan parliament. This is the second occasion where a Tamil has been appointed as the opposition leader in the parliament of Sri Lanka. The first was when A. Amirthalingam was appointed to that post following the ignominious defeat of the SLFP at the 1977 elections where that party’s representation was reduced to a mere eight seats. 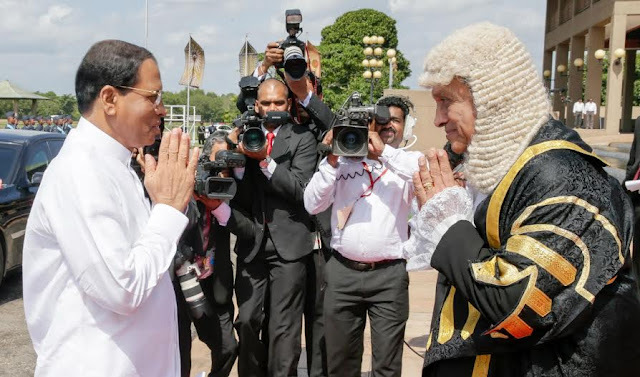 This time it happened under different circumstances when the largest party in parliament, the UNP and the next party, the SLFP entered into a memorandum of understanding to form a national government. The argument in favour of the TNA was that the SLFP cannot be both in the government and the opposition simultaneously following this MOU although some of their MPs have decided to sit in the opposition. TNA supporters argued that the SLFP by virtue of the MoU has become a part of the government and therefore the Leader of the opposition position should lawfully go to the TNA which is the third largest party in parliament. The difference this time is that a Tamil became the leader of the opposition as a result of some kind of consensus among the political parties in parliament. 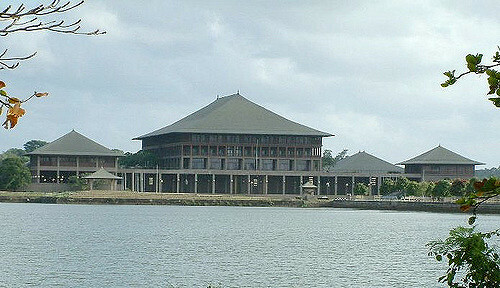 In 1977 they were entitled to it as they had the second largest representation in parliament after the governing party UNP. Although some fifty odd MPs had earlier wanted a UPFA member to be the leader of the opposition such a request had not been made to the speaker. On the contrary the TNA’s claim for the post had the full backing of the JVP which has the fourth largest representation in parliament. In fact this was a gesture that showed the political maturity of the JVP and the extent of the transformation it has gone through as a political party over the years. All in all this would be a development that is hailed locally and internationally bringing the country closer to a permanent solution of its age old national issue. Now it could be the best time for the country to have a serious look at what can be done in terms of devolution and sharing of power among its different communities and find a durable solution that can last for the foreseeable future paving the way for a united Sri Lanka to look at its economic future. 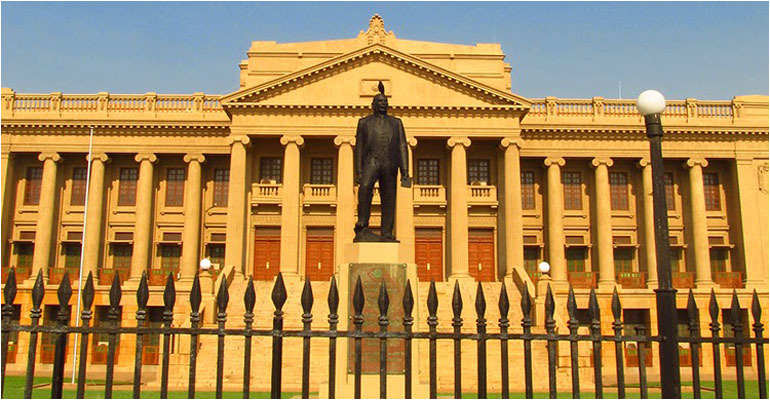 In the post-colonial period one of the main issues in Sri Lankan politics has been the lack of a national consensus on main issues facing the country. Most of our failures as a country have been attributed to this lack of agreement among our main political parties. The gravity of this issue has become manifest in many areas such as ethnic issue, foreign policy and management of the economy hampering the progress of our country. This is the first time the country has got out of divisive politics at least for a limited period. This more or less appears to be the will of the people as depicted by the results of the August 17 general election where no party was given absolute majority to form a government compelling the two main parties to get together. Now the understanding is for the UNP and the SLFP to govern the country for the next two years. The priorities for the two years should be to implement the nineteenth amendment appointing the constitutional council and the independent commissions under it. This will put the country on a firm democratic footing depoliticizing vital areas of governance. Then comes the proposed twentieth amendment bringing about electoral reforms and introducing a mix of first past the post and proportional representation while abolishing the much maligned preferential voting system. These constitutional changes would create a better environment for the national government to address the most important national issue – devolution of power to the north and east. This has to be achieved through a long process where the views of all stakeholders have to be obtained. The current balance of power in the parliament could be conducive for this purpose as UNP, SLFP, TNA and JVP are all occupying important positions, thus their participation in evolving a constitutional solution would be at the highest level. If an entirely new constitution can be developed and agreed upon within the two year period embodying all these changes, that could be the best achievement for the country and it will certainly lay the foundation for an advanced democracy and a modern country. Such a development will elevate the country to a new height allowing its people to reap maximum benefits from its locational advantage and its economic potential.